Molly Huddle is an incredibly accomplished track and cross country runner, with quite a few accolades to her name. In college, she was a 10 time All-American. Since turning pro, she’s competed in races in Europe and represented the United States at various international meets, including the 2012 Olympics. And earlier this summer, improved upon her own personal best and American record time in the 5,000 meters in a time of 14:42:64. On 3 different occasions, a broken bone in her foot sidelined her during her college career. What it feels like when running becomes your full time job. The Olympic Games from an athlete’s perspective. The possibility of racing longer distances, including the marathon. 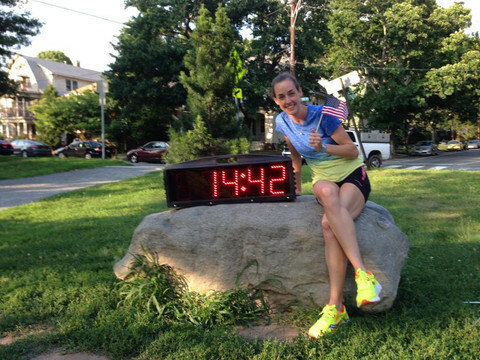 What does Molly Huddle like to do when she isn’t running?